This is Breguet’s all new perpetual calendar tourbillon, the Ref. 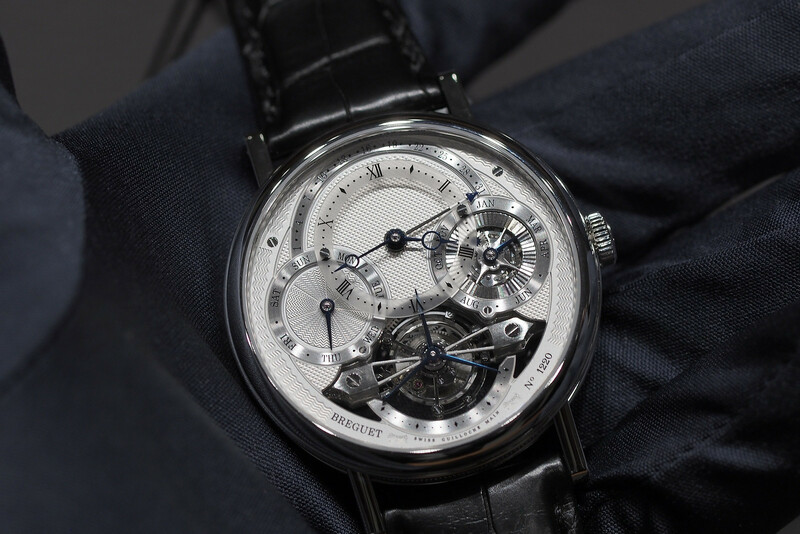 3797 Classique Tourbillon Quantième Perpétuel, which was launched at Baselworld 2014. It is presented in a 41 mm diameter case, with Breguet’s signature fluted caseband and welded lugs, and is available in either 18K rose gold or 950 platinum. According to Breguet, “The amount of information displayed on the dial can be confusing, so Breguet has added a third dimension. By lifting the hours and minutes chapter to the foreground, the timepiece draws attention to the essential information. A further glance takes in all the other indications. The reference 3797 does this with an offset sapphire disc. The dial is 18K gold, and has been silvered and engine-tuned in four different patterns, resulting in a visual masterpiece. The hour and minute chapter ring, which appears to be floating at the top of the dial, is made of sapphire that has been frosted. It is marked with metallic Roman numerals and indexes for the hours, and dots for the minutes. 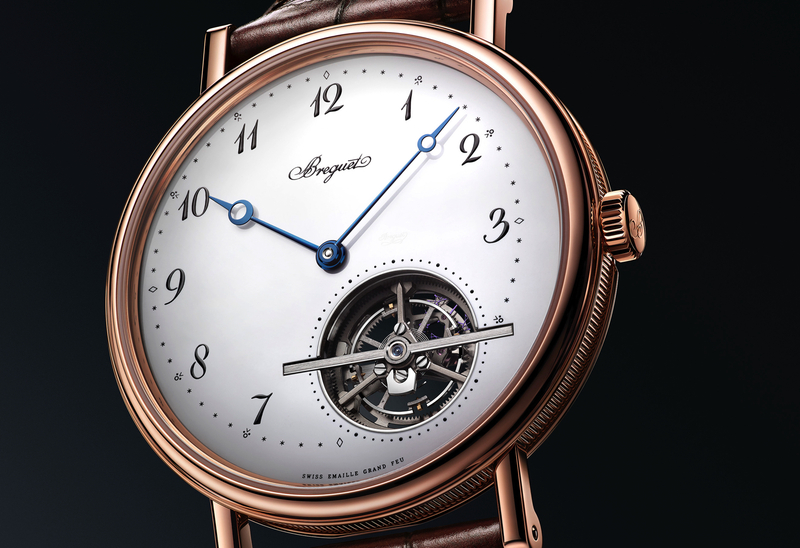 The hour and minute hands feature a Breguet open-tipped design and are made in blued steel. The tourbillon is visible at 6 o’clock and is supported by a bridge that has been hand chamfered. The tourbillon makes a complete rotation every 60-seconds and acts as a small seconds display thanks to the unique blue steel triple hand that rotates on its axis. 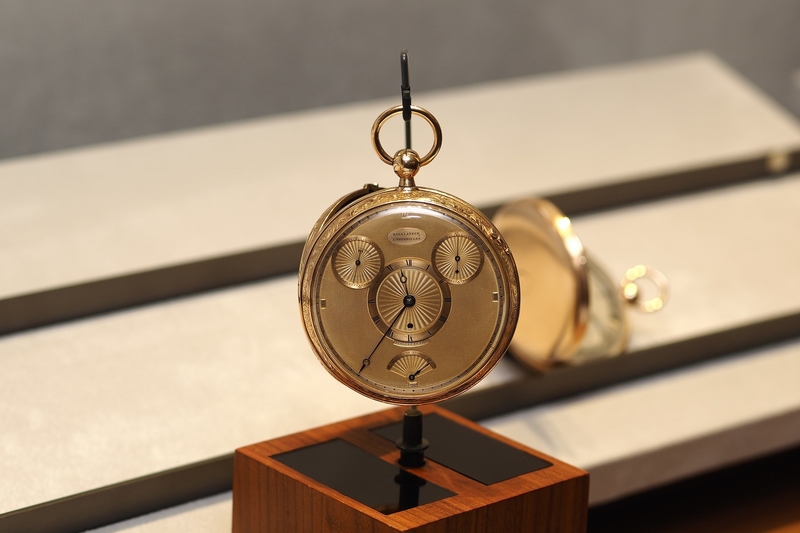 Just below the tourbillon, the dial is signed “Breguet” along with individually number of the timepiece. 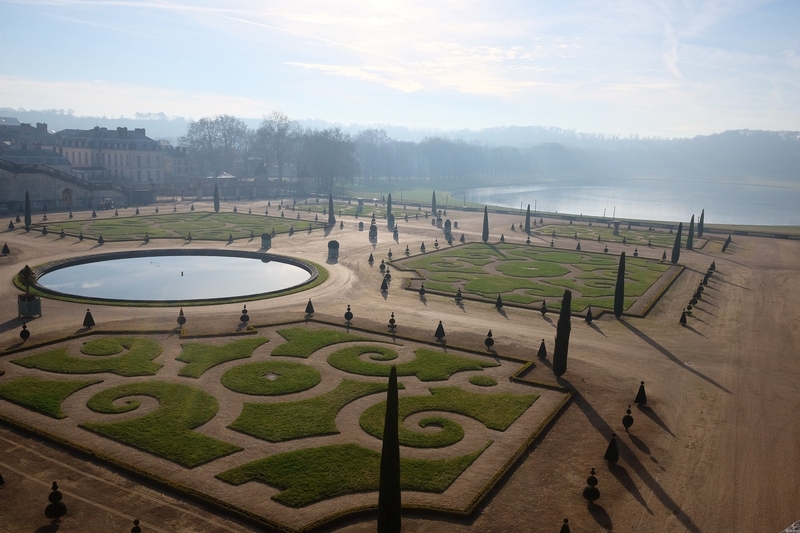 The retrograde date is indicated at 12 o’clock, with days at 9 o’clock, and the month and leap year at 3 o’clock. The Classique Tourbillon Quantième Perpétuel is animated by caliber 558QP2, a manually wound movement with a lateral lever escapement and a free sprung balance wheel with adjustment screws. It beats at 2.5Hz, has 21 jewels, a power reserve of 50-hours and has been adjusted in six positions. Through the caseback, there is an unobstructed view of the baseplate, which is adorned with beautiful manually set jewels and hand-engravings, including “Breguet” engraved right in the center. At the bottom, you can see back side of the tourbillon, as well as a partial view of the time wheels.